Listed amid the celebrated names in the industry, VMR & Company (Chartered Accountants) is providing a full suite of solutions for NGO & NPO registration. Active in this trade since 2013, we are operating from Delhi, India. 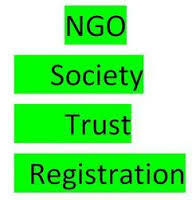 With our services, we ensure to complete the registration process within the minimum possible time. Besides, we assist clients in completing paperwork and other legal formalities. For detailed discussion, clients can reach us anytime through our website.